Brand new location, better workouts, coffee shop, private showers....everything you could want from your gym! Originally founded in 2010 as a boot camp operating out of a park, this local start-up has organically grown into one of Charlotte’s premiere fitness facilities. Our life's work is bringing you the Best Hour of Your Day. Whether you’re doing work remotely in our WiFi lounge or putting in work during one of our group classes, we've got you covered. 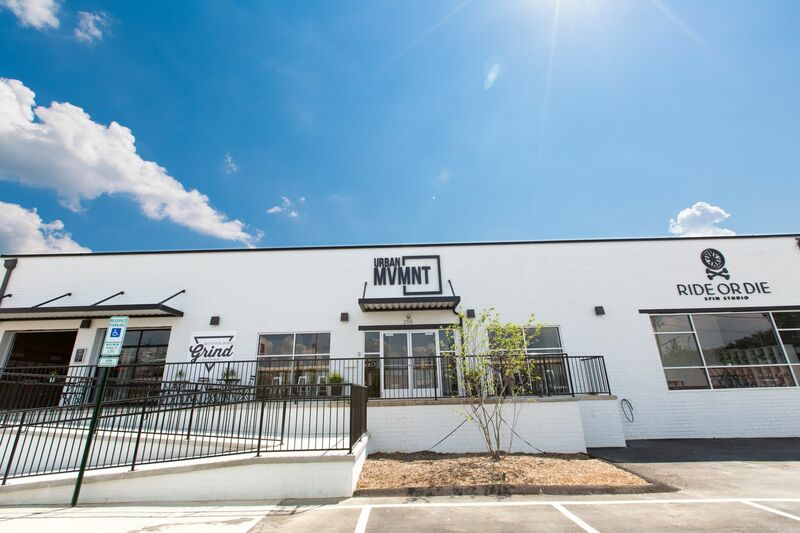 Urban MVMNT is a fitness experience like no other. We've partnered with local companies SouthEnd Grind Coffee, Ride or Die Spin Studio and Charlotte's Best Boot Camp to bring you an unrivaled epicenter of great workouts and delicious coffee. Please take a look around our site and then contact us or stop by. We’d genuinely want to meet you and help you along the way of your fitness journey. Get ahead of the game and fill the waiver out now!